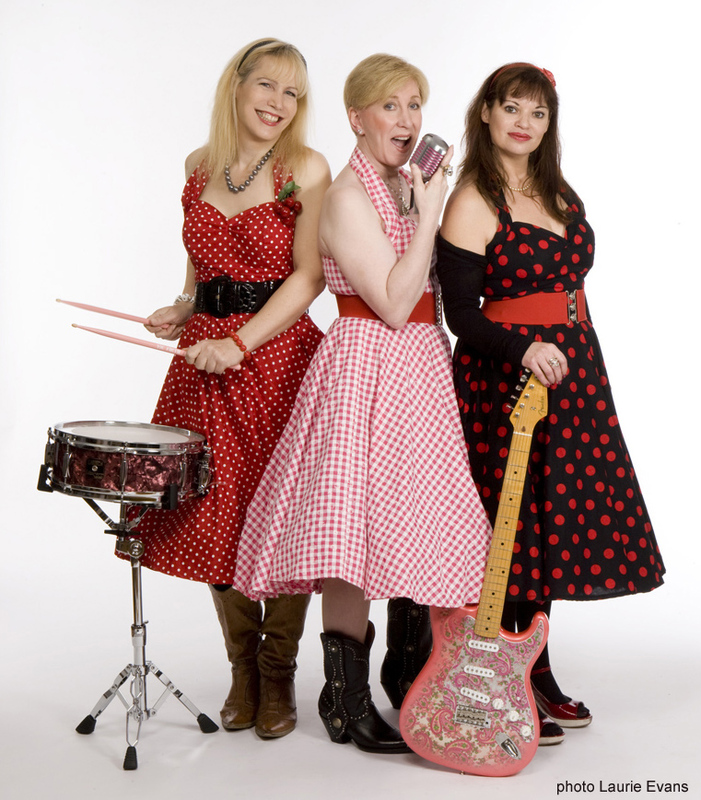 Each drawing upon their diverse musical backgrounds and influences, Frances, Lauren and Sarah , mix and distill their musical alchemy, a steam train collision of Rock ‘n’ Roll, Country, polka dots and gingham: yeah, we like mixing things up a bit. Lauren (Drums) aka Dolly, is our very own ‘Animal,’ so it’s best she’s on drums. Since a wee lass she’s been hitting things, often getting herself into trouble in the process, so it’s in everyone’s interest we keep her at the back. Sarah (Bass) completes the line-up with her foot-stomping bass lines. When not gigging with the band, Sarah also has her own mobile recording studio, producing and mixing it up for other bands and musicians.